Balzer + Bray, 9780062434593, 288pp. When their dad returns home for the first time in years and tries to insert himself back into their lives, Gem finds herself with an unexpected opportunity: three days with Dixie—on their own in Seattle and beyond. "A complex and gripping story centered around the relationship of two sisters from a broken home. 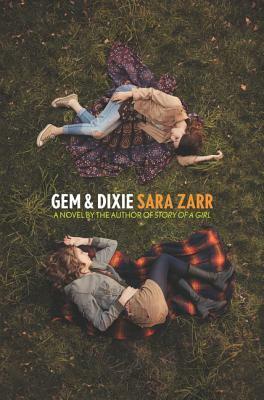 This book was so meaningful and realistic" (from the Brightly.com review, which named Gem and Dixie one of the best books of 2017). Sara Zarr is the acclaimed author of five novels for young adults, including Story of a Girl, The Lucy Variations, and Gem & Dixie. She's a National Book Award finalist and two-time Utah Book Award winner. Her novels have been variously named to annual best books lists of the American Library Association, Kirkus Reviews, Publishers Weekly, School Library Journal, the Guardian, the New York Public Library, and the Los Angeles Public Library and have been translated into many languages. She lives in Utah with her husband and online at www.sarazarr.com.